I have an RV cover. It is, or rather was, a nice one. After many years with the original owner in the hot California sun and 3 years in the snow and sleet of the Northeast, the material has gone brittle. If you pull on it too hard it rips. A lot. I now have a cover that works great up to the windshield and then has an 8 foot gash all the way across. Last year, when it wasn't so bad, I used the windshield wipes to hole the top and bottom pieces together...well...sort of. Some folks say I shouldn't cover it. I'm not so sure. I've found varying schools of though when it comes to covering your RV. Some say it's essential... others...not so much. Let's take a look at why. Keeps the bulk of the weather off the surface of your RV. Keeps birds from "depositing" on your RV roof and sides. Keeps Branches, leaves, etc. from accumulating on the RV. Keeps the Sun's harmful UV rays from fading your surfaces. Hides the RV from prying eyes. 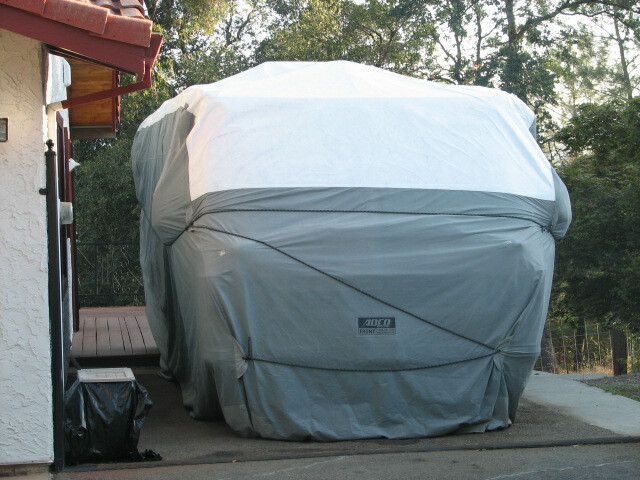 Constant rubbing of cover against the surface of the RV dulls finish. Could scratch or mar the glass. Retains moisture underneath the cover. A P.I.T.A. to put it on and take it off. You have to store it someplace. They can be costly to buy. No Cover? Well, Except For The Snow! On the pro side it appears to have real value. Maintaining your RV in good condition keeps it value up and since less maintenance is required you can rest easier thus maintaining your own sanity. On the con side, there is a real danger of some kind of damage to your finish and/or scratches on your glass. You can mitigate this by choosing the right material for your cover and local environment. I have tried both covered and uncovered. It seems like covering it in bad weather works well. I had a lot more cleaning to do in spring when I left it uncovered over the winter months. I did find that making sure the top isn't too loose and flopped around in the wind was essential to keeping the finish unblemished. I'm absolutely sure I have missed a bunch of pros and cons. This year I believe I will be using my old cover. I took some photos of it before...and I'll take some after. Let's get to the bottom of this, scientifically. 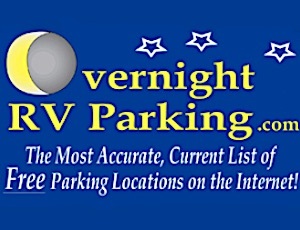 Either way, take care of your RV and it will always be ready to whisk you off to destinations both known and unknown. Now....it's time for a large Thanksgiving day meal!